That sounds like a good one for me to check out. Thanks! then let me provide you with a background of how synths originated. Watch a great documentary called 'I Dream of Wires'. [That sounds like a good one for me to check out. Thanks! If we’re talking synth history, then a MUST WATCH is a documentary called “Synth Brittania”. It was produced by the BBC and is absolutely sublime. I know many people here recommend Subtractor as a good beginner synth, which is a good advice. But I think starting out with Legend would be even better. It's got all the basic waveforms, looks cleaner/better, sounds better (I know highly subjective), it's got some simple modulation abilities too. Everything just looks more inviting and simple. Overall I just find the user experience a lot nicer with Legend compared to Subtractor and that's important if you want to keep learning about something. But I think starting out with Legend would be even better. It's got all the basic waveforms, looks cleaner/better, sounds better (I know highly subjective), it's got some simple modulation abilities too. Everything just looks more inviting and simple. Is this available as a Rack Extension or is it VST only? Nice! I'll check it out during the weekend! Fun fact: The Legend was actually a Rack Extension first, and then a VST. The whole Britannia series is great. Pop Britannia w/ the quarreling Oasis bros is pure old rock fucker comedy gold and those guys are at least a decade younger than me! No, it's not a good starter synth at all. It's too complicated for that. It's amazing, yes, but it's advanced. Start with SUBTRACTOR. That's great learner's synth if ever there was one! As someone who took way too long to begin understanding synthesizers I can agree with most of what's been said here. Subtractor is a good place to start, but even Subtractor may be too complex! 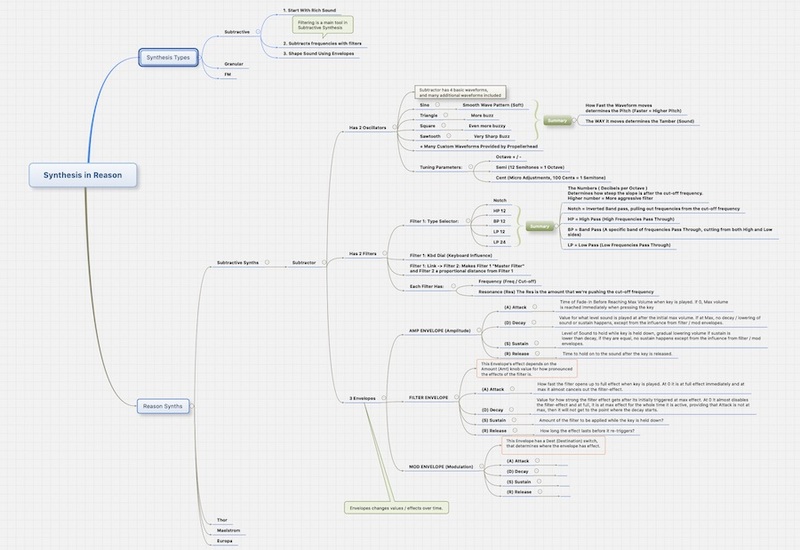 My idea about how to learn focuses on the concepts, not the synth, so just about any synth can work. Right click any synth and choose Reset Device. Then I suggest flipping on an oscillator and heading straight for a filter section. Flip through the different waveforms on a single oscillator and mess with the filter cutoff Frequency and Resonance. IMO everything else should come later: envelopes, ADSR, LFO's, etc. 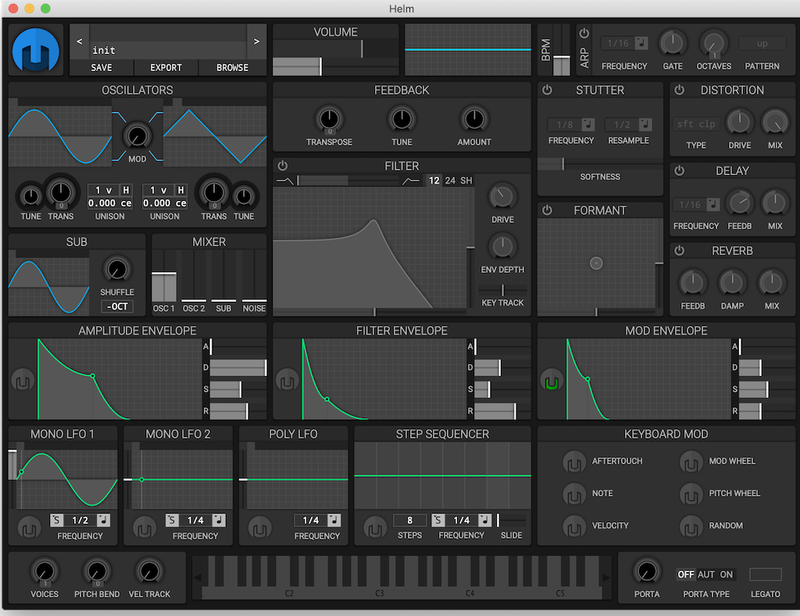 Helm can run as a standalone app or as an LV2, VST, VST3 or AU plugin. Found it easy to understand compared to many others! Great for bringing Helm up, I heard good things about it but never used it so far. That way, you can combine game mechanics with sound generation or create any sorts of generative music (check those tutorials). Another reason for me to eventually get into Unity - but I really need a clone at this point to accomplish all these dreams, haha. Yeah, I've been doing some Unity programming myself, and it's great that this synth is available as a Unity Asset! I used to work as a C# developer, so Unity was a natural choice for learning about game development. Now I mostly do cross platform mobile development and some iOS specific projects. i think ES-01 might be a good synth for starting out too - it's even simpler than Subtractor or the Legend but you can make some great sounds with it. I would recommend checking out Welsh's synthesizer cookbook. This teaches synthesis in an awesome way that you will understand right away. All the feedback is great. That say, regarding your original question I would say yes Complex-1 is a very good way to learn. The keyword is 'learn', not instant gratification or some predictability with a semi modular synth. So it's semi-true that you "get" the course for free. All Synths which are not full modular, have predefined "normalled" connections. Usually it is very simple internal routing, from osc to envelope, filter, amp, in that order. Subtractor is one of those. routing can do. Keep in mind that normalled Synths are easy to play, immediate, and fun, and to master a Synth like Subtractor, or Thor, or Europa, is not easy, it takes time anyway, you can concentrate more on music; but you don't need to be a good musician to understand Synthesis, always trust your ears. Subtractor or even Europa are perfect for learning synths. Clearly laid out interfaces, Subtractor doesn't get much easier for subtractive and if you need something crude and simple, it is perfect. Europa is a more typical modern wavetable with unison. It is a bit more advanced but still a simple interface that is easy to follow. Complex sounds complex and is a take on west coast synthesis which might be overwhelming for a beginner.